A few weeks ago, the opera world lost a great conductor. 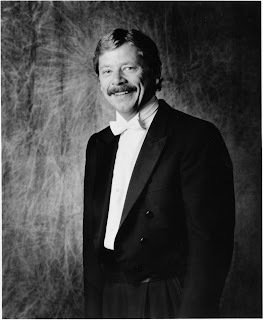 Maestro Vjekoslav Sutej, known by many as Gigi, passed away on December 2, 2009, of complications from leukemia. He was 58. Sutej was a familiar face at Seattle Opera. He made his company debut leading Catán’s Florencia en el Amazonas in 1998, and conducted several productions thereafter, most recently Tosca in 2008. My favorite memory of Maestro Sutej: Seattle Opera was trying out the acoustics of the renovated Mercer Arts Arena, with Maestro Sutej at the podium. At one point he went racing up the aisles, hands clasped, his huge smile beaming like a beacon. Nobody had to guess whether the acoustics (always a gamble) were good; it was enough to be standing within 300 feet of him.